The Internet and real estate professionals are the top two resources most buyers turn to when searching for a home. When it’s not convenient for you to speak directly with a real estate professional, c21realesate.com can help improve your overall home buying experience and provide the guidance to reduce stress, save time, and make you a savvy, successful consumer. Orhan Tolu has been actively engaged in all aspects of Real Estate including Commercial Real Estate and Finance for over 30 years. 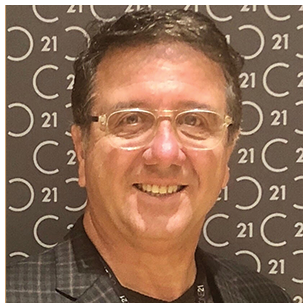 He joined Century 21 Alliance as Vice President in 1997 and immediately increase the company production and number of Agents. On 2007 he acquired the company as CEO/President and became responsible in all aspect of daily company operations, recruiting and agent production.